Nutrients Nearshore vs Offshore: What’s the Difference? Abbey Dudas is the Science Communications coordinator at GBBR. 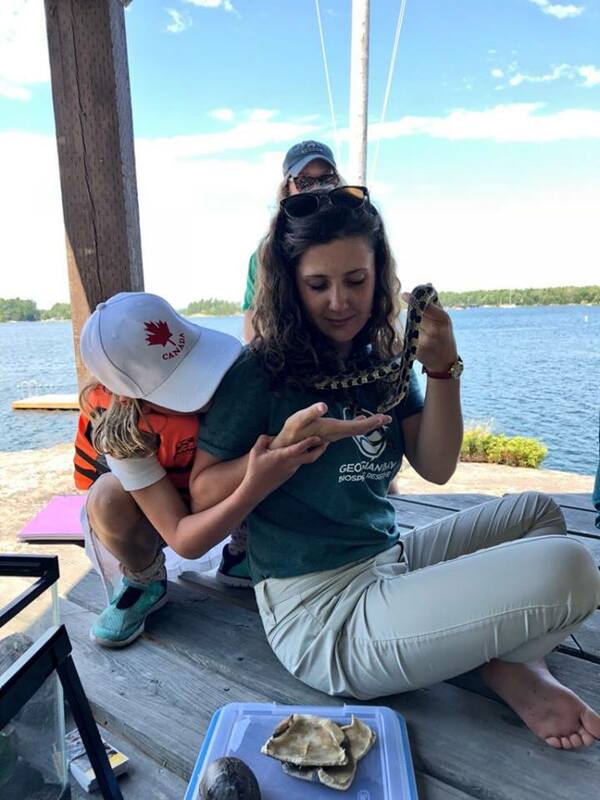 Growing up in Parry Sound, she developed a love for Georgian Bay, and now wants to help conserve its biodiversity and beauty. You can reach Abbey at [email protected]. 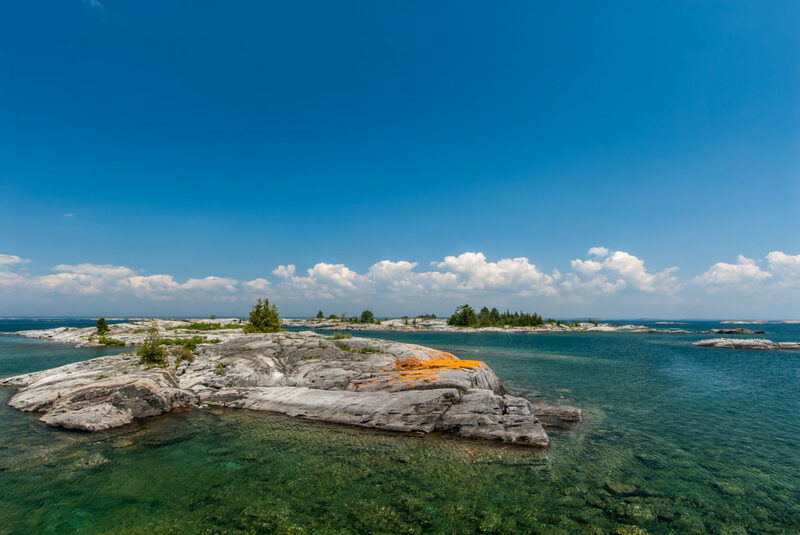 Georgian Bay is a nearly 15,000 square kilometers, making it almost the same size of Lake Ontario! Consequently, it is hard to study the Bay as one whole body of water. To understand water quality we use two regions of focus: the nearshore and the offshore. The nearshore – or shallow waters – refers to the area along the coast of the Bay, where nutrients are higher and more variable due to inputs from the watershed. The offshore is the area of deep, open water where nutrients are typically lower. Phosphorus is the foundation of the aquatic food web. It is the essential nutrient that microscopic plants need to grow – in turn supporting higher level organisms in the aquatic food web. Too much phosphorus is not a good thing– but neither is having too little. 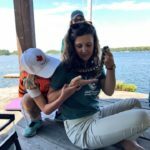 The good news for eastern Georgian Bay is that phosphorus levels in the nearshore are currently below the provincial objective of 20 micrograms per litre, with the exception of Sturgeon Bay and French River. When levels are between 15-20 micrograms per litre, nuisance algal blooms may appear – sometimes toxic ones. The offshore, deep water regions of Georgian Bay behave quite differently than the nearshore. Currently, there is less than 4 micrograms of phosphorus per litre of water, which is considered a nutrient-poor ecosystem. We have never seen this low a level of nutrients in the open waters – levels as low as those in Lake Superior. Offshore Georgian Bay is now described by Environment Canada as ultra-oligotrophic. In the offshore waters, less nutrients have led to decreased “primary production” – specifically, the spring bloom of phytoplankton, an event that is critical for a healthy food web and stable fish community. This bloom is now almost entirely absent in the deep waters of the Bay. 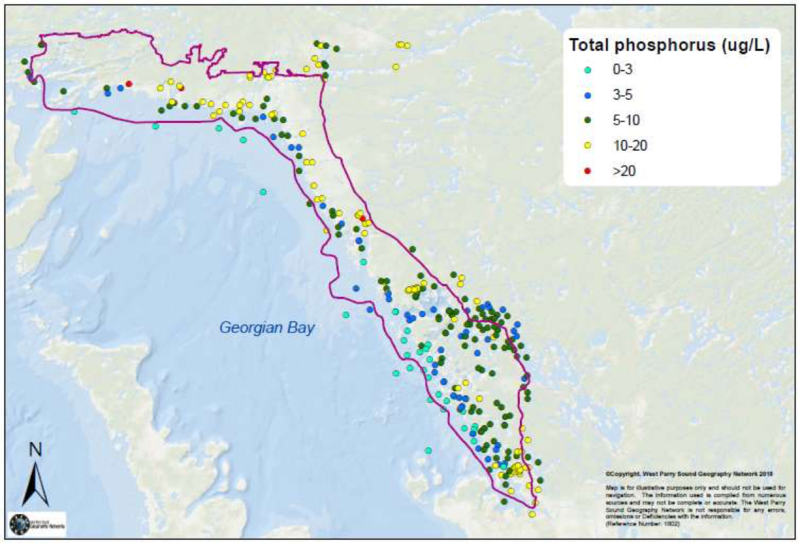 Most recent total phosphorus concentrations for Eastern Georgian Bay. Will increasing phosphorus nearshore help to increase the loss of nutrients in the offshore? No! We have been trying to reduce human inputs of phosphorus for decades in order to protect ecosystems. The slow movement in nearshore waters means that an increase in nutrients along the shore will not benefit the offshore deep water but will accumulate, potentially creating nuisance algal blooms. Why have the nutrient levels decreased in the offshore waters of Georgian Bay? The answer is probably very complex and likely involves a number of different factors interacting. Since the 1970s, a major goal has been to reduce phosphorus inputs into our water bodies. This goal was a result of the public concern surrounding water quality issues in the Great Lakes in the 1960s. Lake Erie, in particular, was suffering from algal growth because of too much phosphorus input. In the late 1960s, the United States and Canada committed to limit phosphorus inputs into the Great Lakes, in hopes of controlling excessive algae growth. This agreement was a tremendous success and phosphorus levels decreased substantially in the 1970s and 80s. Lake Huron and Georgian Bay experienced a period with relatively stable phosphorus levels in the 1990s. Unfortunately, this decade also saw the arrival of invasive zebra mussels. Throughout the early 2000s, active filtering of nutrients, including phosphorus, by zebra mussels, and eventually quagga mussels, occurred. This extensive filter-feeding is thought to be related to the lower nutrient levels seen today in the offshore deep waters of the Bay. Despite low nutrients in the offshore, we still need to reduce our phosphorus pollution in the nearshore. With increasing water temperatures due to climate change, there is a greater risk of algal blooms. Keeping a natural shoreline vegetation buffer is a great way to helps limit the nutrients entering the nearshore environment, and so is maintaining your septic system. To find out what nutrient levels are typical in your area, you can start monitoring water quality. 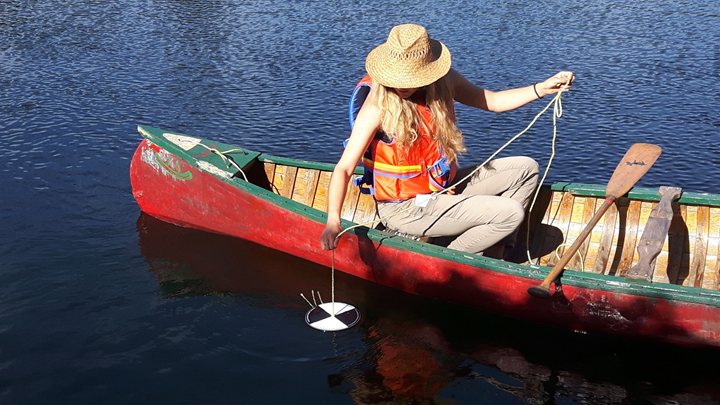 There are still at least 30 sites in eastern Georgian Bay that need volunteers to collect samples to help scientists better understand nutrient trends. To learn more and sign up for free, visit www.desc.ca/programs/lpp. Click here to learn more about the phosphorus levels in Georgian Bay. Sign-up to receive State of the Bay updates.